In my last article about scatterguns I asserted that the semi-automatic shotgun most often represents the best value in terms of build quality, functionality, and overall cost. This week, I wanted to go a little more in-depth and examine the two main types of semi-auto shotguns and the things you might want to consider before buying one. A quick look “under the hood” of a couple semiautomatics. The gas-operated Beretta (top) has several extra parts that the inertia operated Franchi I-12 (bottom) does not need. This makes the Beretta heavier and bulkier, which isn’t necessarily a bad thing. Basically, the two main types of auto-loading shotguns available now are either gas-operated or inertia-operated. Each system has its own strengths and peculiarities and these actually have a pretty big impact on how the respective guns feel and function. With several excellent choices to consider on both sides of the debate, here’s a closer look at what makes these guns tick, and what that means for you, the shooter. Beretta has succeeded Remington as the king of the gas guns, and with the popularity of their latest A400 action I doubt that will change anytime soon. Gas operated shotguns have been more or less the standard for semi-autos for about the last 50 years or so. Before Remington refined and popularized gas operation with their ubiquitous model 1100, semi-auto shotguns basically worked using recoil operation just as they did when they were first invented. 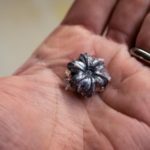 Gas operation is pretty easy for rifles using high-pressure ammunition and rod-shaped pistons, but shotguns present the issue of relatively low-pressure ammo and an obnoxious magazine tube. Not to mention that in order to ensure commercial success they had to be nice to look at and well-balanced as well. The answer to this was a ring-shaped piston that used the magazine tube as a guide. All of this was then able to be tucked away beneath the forearm to protect it from outside elements and maintain a traditional appearance. Modern gas guns work more or less the same way today, with minor variations between models and brands. 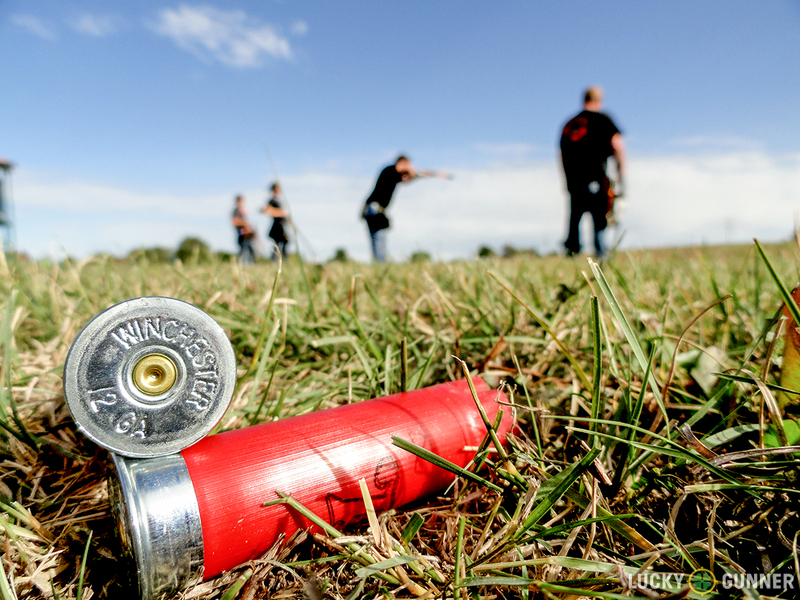 The main benefit of the gas-operated shotgun is the ability to reliably fire a wide range of shotgun shells. Gas operated guns have the benefit of regulating gas pressure somewhat in order to keep the gun functioning reliably but without causing excess recoil or stress on the gun. Different manufacturers do this in different ways. For example, gas guns like Beretta’s excellent 391 series simply bleed excess gas from the front of the forearm. Meanwhile, Remington’s Versamax shotgun uses the length of the shell body itself to seal off unneeded gas ports so that reliable operation can be achieved with shells ranging from standard 2-3/4” all the way to heavy 3-1/2” magnums. In addition to generally working well with a range of different loads, the gas guns typically distribute recoil better, which makes them softer shooting. Because gas pressure takes time to build up and move the bolt carrier and bolt backwards against their return spring, the gas-operated shotgun offers pretty substantial recoil reduction in most cases. 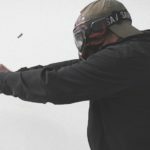 Recoil-sensitive or high-volume shooters should lean towards the gas guns, and those planning on shooting heavy magnum loads may want to consider one as well. The “Blink” gas system in Beretta’s new A400 shotguns is both lightning-quick and easy on the shoulder. However, with a noticeably wider forearm and beefier receiver than comparable inertia guns, this Beretta A400 may not be the best option for smaller shooters. There are a couple of downsides to gas-operated shotguns though, and chief among them is long-term reliability between cleanings. Carbon residue from burning powder will build up in the mechanisms of gas guns and cause failures if enough fouling is allowed to accumulate. Not only that, but low temperatures will increase the viscosity of the powder fouling, particularly when it is combined with lubrication, and will cause failures to cycle even earlier. That said, most autoloaders from reputable manufacturers like Beretta and Browning can go hundreds of rounds between cleanings, if necessary. 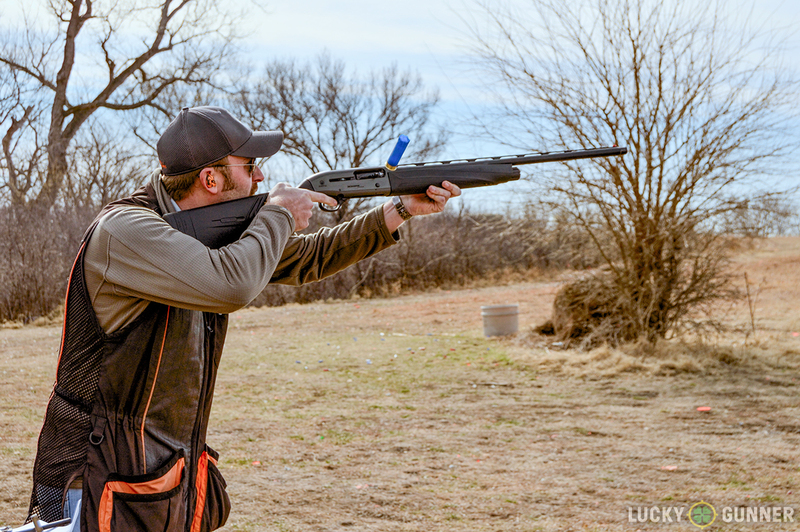 Benelli’s SuperSport is widely considered to be the ultimate inertia operated shotgun and it’s a very popular choice for sporting clays enthusiasts. Inertia operation in modern shotguns used to be unique to the Benelli line of guns. However, since Beretta now owns Benelli as well as Franchi and Stoeger, there are actually more than a handful of inertia operated shotguns available, and these come in at a variety of price ranges as well. Technically, inertia operation is a type of recoil operation like the short-recoil system normally utilized by handguns and the long-recoil operation that ruled the world of semi-auto shotguns before gas operation was implemented. It uses the recoil of the shotgun to complete the loading cycle, but in a much more interesting way than simply having the impulse from the shell drive the bolt backwards directly. Inertia operation involves a bolt carrier and inertia spring that are not rigidly fixed to the rest of the gun. When the gun is fired, the recoil pushes the gun backwards against the inertia spring and bolt carrier that are effectively floating in space inside the receiver. This rapid recoil impulse hits hard enough and fast enough to compress the inertia spring about 4mm, but because the spring is so incredibly stiff it’s still able to store enough energy to send the bolt flying backwards where it will compress the return spring while extracting the spent shell and re-cocking the hammer. It sounds complex, but the main concept is more or less the same thing as hitting a big rubber ball with a baseball bat. The ball compresses before it is able to move and then is launched away as it springs back to shape. Because inertia guns don’t need to hide any gas pistons or external linkages they tend to be thinner and less bulky than gas guns. The reduction of total parts means that they’re typically lighter than gas guns as well. They’re also easier to disassemble and clean, which is nice, but nicer still is the fact that you won’t need to do it as often. Because there are no gas ports to clog and pistons to gunk up, an inertia gun will stay very clean even after hundreds of rounds have been fired. Lubrication is also less vital because of the necessarily loose fit between the bolt carrier and the receiver walls. With all of these features in mind it’s no surprise that inertia guns have become highly favored by waterfowl hunters needing lightweight reliability in harsh environments and sporting clays shooters that enjoy the quick handling characteristics of a light, evenly-weighted gun. As simple and rugged as inertia operation is, it does come with its own set of issues. Inertia guns will have more felt recoil than gas guns due to their light weight and method of operation. 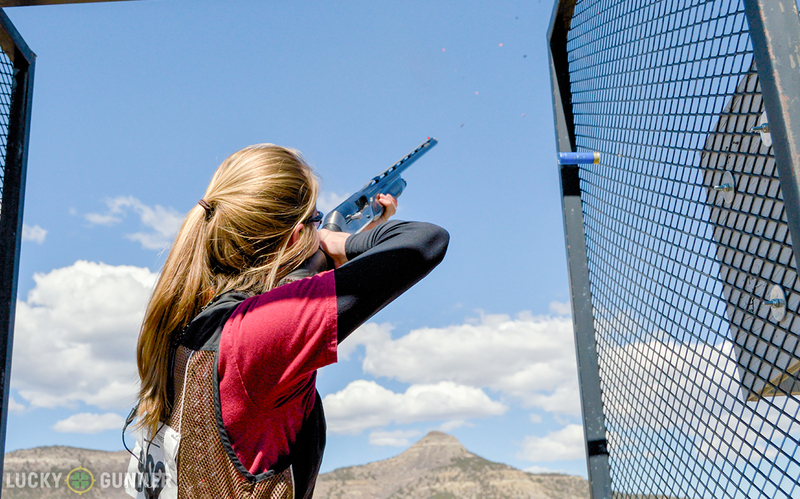 For high-volume shooting such as clay-shooting competitions, this can lead to shooter fatigue and missed targets. They are also a little less forgiving about what shells you can use in them since they don’t have the ability to selectively regulate their mechanism the way gas guns do. This means that you’ll want to give inertia guns a pass if you plan on shooting very light loads, at least right out of the box. Inertia guns are also sensitive to being over-weighted. 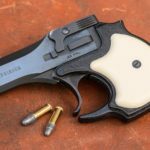 Those looking to add extra weight in the form of optics, side saddles, and extended magazine tubes will need to be careful in doing so because slowing the recoil of the gun too much reduces the energy transferred to the inertia spring. 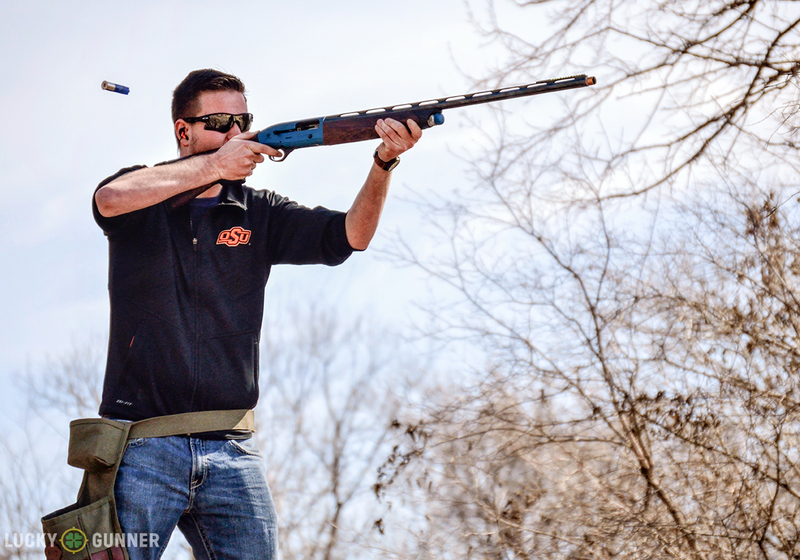 Every shooter is different and they each have their own specific preferences when it comes to selecting a shotgun for a given task. Fortunately, now is a great time to be a shotgunner, and whether you want a soft-shooting and smooth-swinging gas gun for regular clays or a lightweight ultra-rugged inertia-operated duck gun to drag through the swamps there’s something on the market that is sure to suit your needs, provided you know where to look. Let us know which side of the debate you’re on in the comments below!